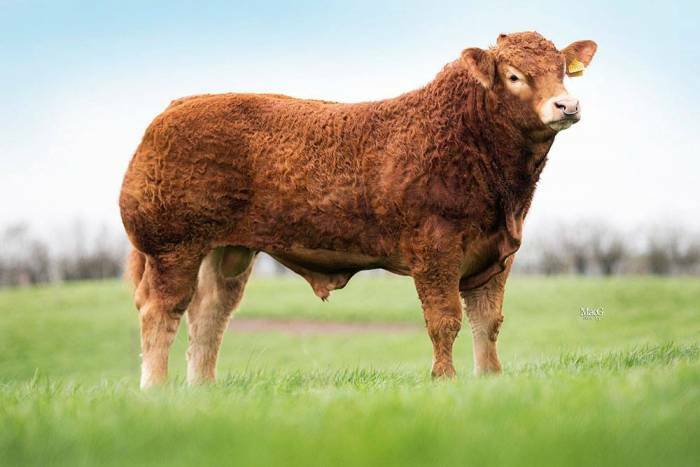 We are delighted to add GOLDIES JACKPOT to our range of Limousin sires available. Sired by Ampertaine Foreman out of Goldies Vitality. Vitality has bred Goldies Classic (£26,000), Goldies Comet (23,000 gns) and Goldies Goldfinger (21,000 gns). Goldies Jackpot pictured when 12 months sold to Tom Bailey's Baileys herd in Southern Ireland.